Free Shipping Included! 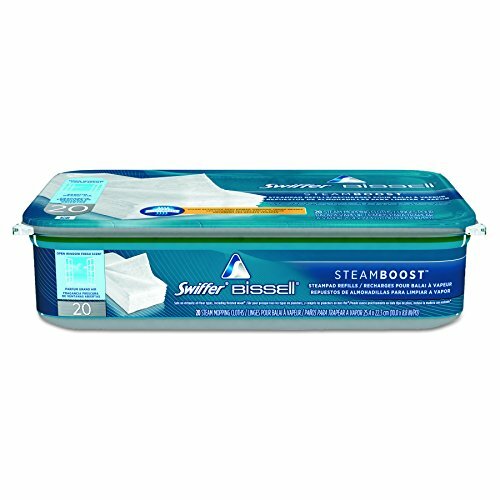 Swiffer PGC 85802 Bissell Steam Boost Pad Refills, 10'' x 9'' (Pack of 20) by Swiffer at Blog Free Here. MPN: PGC 85802. Hurry! Limited time offer. Offer valid only while supplies last. Bissell steam technology meets Swiffer wet-pad know-how. Deeply penetrates and removes soils that standard wet-mopping can leave behind. Bissell steam technology meets Swiffer wet-pad know-how. Deeply penetrates and removes soils that standard wet-mopping can leave behind. Steam-activated, dirt-dissolving cleaning solution treated pads. For use with Swiffer Bissell Steam Boost mop.